As for the winners: please message us your name and e-mail address and your A duplicate ID card via facebook page for to us to verify. (*Please send us a copy of your National identity cards or Passport that can verify your Nationality, but with blurring your personal information such as your address, Date of birth and etc. Happy New Year! May this year be your best one yet. 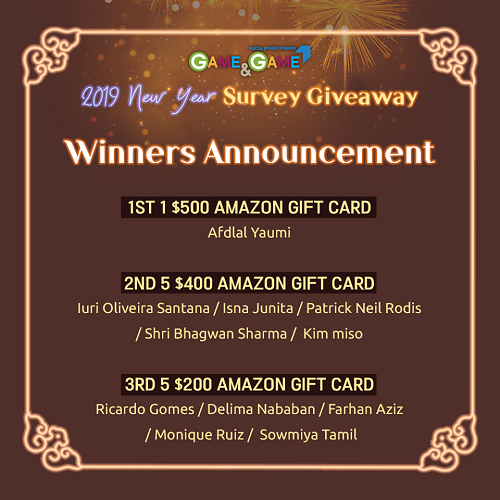 Kicking off 2019: we would like to hear your opinion about last year's GAMENGAME. 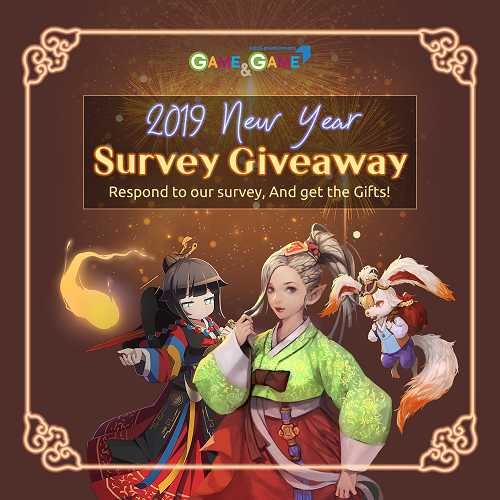 We will give gifts to those who have completed our survey. Last edited by [GM]Ray; 01-29-2019, 06:01 AM.